Tried and tested system of metal boxes provides you with a variety of design possibilities. You can choose from 3 programme lines: TANDEMBOX intivo, TANDEMBOX antaro and TAMDEMBOX plus. All 3 lines can be used in different ways – from standard to specific. All 3 programme lines are equipped with the same TANDEMBOX groove. Because of it the systems slide very softly and it is very easy to open and close the items. Guarantees soft and even sliding during the whole exploitation time. TANDEM hidden rail system for wooden drawers slides easily and is especially comfortable to use around the house. Universal TANDEM programme is a good choice for any piece of furniture. Even the fullest pull-out shelves will slide very softly and will be characterised by exceptionally good values of sag. Elegant system of boxes is characterised by sleek design of straight sides and high-quality movement. Its sleek design has already received a lot of prestigious international awards for exceptional design. 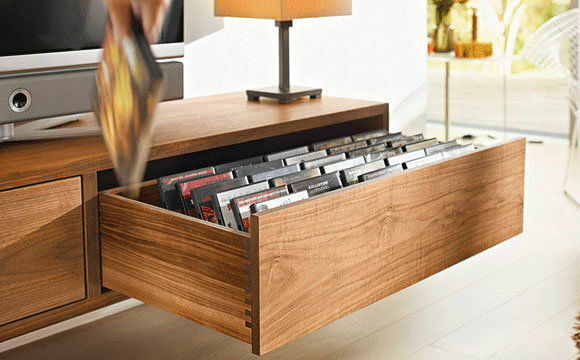 LEGRABOX is as wide as the very concept of home; you can use it for various purposes in different parts of your home. 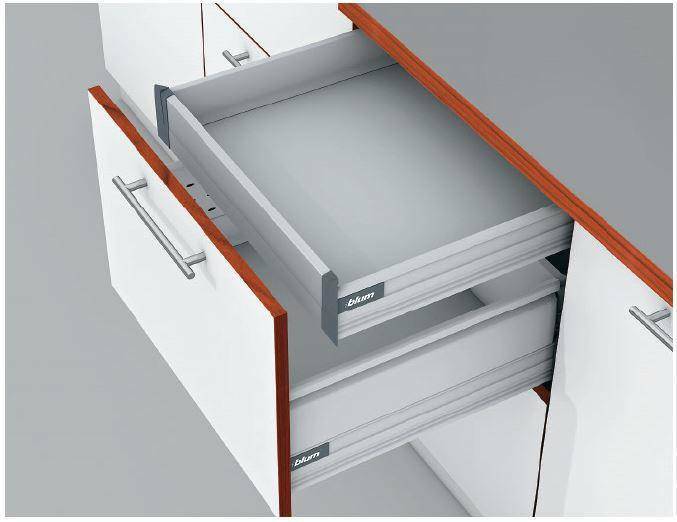 Together with this system you can chose the AMBIA-LINE drawer inside arrangement system perfectly adapted to complement the selected design. Dedicated to create coherent appearance of all home spaces. Electronic self-opening system ensures not only the ease of opening and the softness of closure, SERVO-DRIVE also offers plenty of new design options. It does not matter whether facades have handles or they are adorned with decorations, whether you have chosen heavy or light drawers, wide or narrow ones – the impeccable self-opening system is the same. 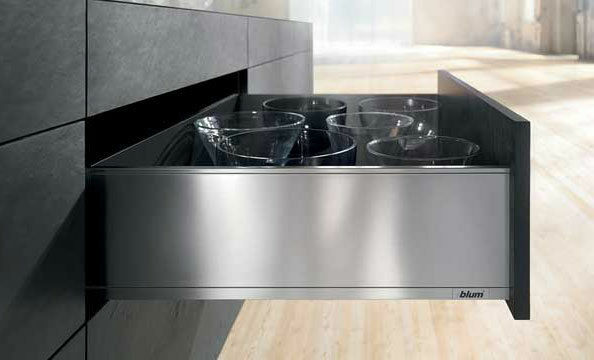 SERVO-DRIVE allows more freedom of movement in the kitchen and the fulfillment of the diversity of Your design ideas. The more drawers you have, the more practical it is, but if you want the kitchen to be furnished in a minimalist style, the abundance of drawers may encumber the room. 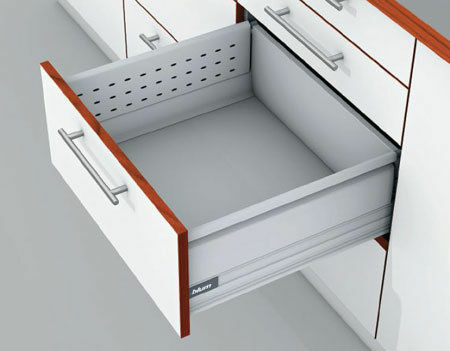 There is a solution – integration of internal drawers: everything inside is in order and the outside looks the same.